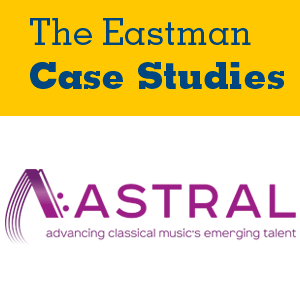 Astral Artists is a Philadelphia-based organization that mentors classical musicians early in their performing careers. Situated in an increasingly competitive environment for the arts, Astral is currently working to develop new audiences while training artists to succeed in today’s market. In 2017, the organization launched a new series that pairs live music with specially curated dining experiences. The staff is now looking for additional ways to diversify its programming and reach new demographics, all while giving artists valuable performing and learning opportunities. This case asks readers to brainstorm nontraditional events that Astral could design for its artists. Through this process, students must consider marketing strategies and logistics as they craft programs to engage new audiences.